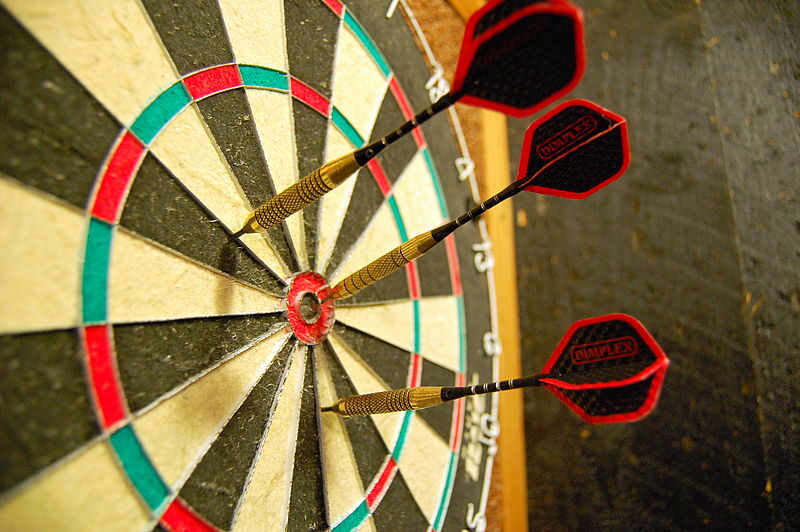 Getting into the Ivy League is not a random process involving dart throwing. There’s an amusing post up on “The Huffington Post” today by J.D. Rothman about getting into Ivy League colleges. The article specifically focuses on why your child didn’t get into the Ivy League! It’s a summation of the common flaws of many applications to the Ivy League and J.D. Rothman breaks it down quite simply and gets it right…almost entirely. Almost. Rothman writes that one of the reasons your daughter didn’t get into an Ivy League college is because she’s a girl. Girls are better students and there are more of them in the applicant pool. This is generally true. Rothman also claims that girls take more ownership of the college application process, which is something we at Ivy Coach haven’t found to be true (at least to an extent that we’ve noticed a discernible difference between girls and boys in this regard). Another reason she got rejected (or waitlisted) is because she’s a bright, well-rounded student. Colleges don’t want Renaissance children. That’s true. They want talented applicants who will form a well-rounded class. Not well-rounded students who will form an untalented class. Other reasons your daughter isn’t getting into Ivy League colleges this spring, Rothman posits, may be because her application stinks of privilege. Also true! College admissions counselors have a distaste for those who have had every advantage in life. Rothman also writes that not enough research experience, a lack of leadership, and “a lame essay” may be to blame. All also true! The only thing that Rothman writes that we disagree with is that the whole Ivy League admissions process is arbitrary and random. Ivy League admissions counselors are not, as Rothman claims, “sitting in a room eating pizza and throwing darts.” That is not what a holistic review of an applicant is. There is a formula for admission to the Ivy League (it’s called the Academic Index) and if you master the rest of the aspects of your application that are in your hands, you’ll get in. It’s by no means random. There’s an element of luck in everything you do in life but it has little to do with the Ivy League admissions process.